ON STATION AND READY, Skylab floats against a black daytime sky, ready to take on board her third and final crew. The Apollo Telescope Mount and its four solar power panels face the Sun above. During EVA, astronauts climbed to the circular disk to replace camera film magazines. The solar telescope array was controlled during manned operation from within the multiple docking adapter, the cylindrical structure marked by a flag near the round entrance door. During periods between manned operations of Skylab, some of the solar telescopes were controlled remotely by radio command from the NASA Johnson Space Center in Houston, Tex. The heat and light of the Sun are so intense that peculiar instruments and methods are necessary for the observation of his surface. The appliances used in the study of the moon, planets and stars will not answer at all for solar work. The Apollo Telescope Mount (ATM) on Skylab was this country's first full-scale, manned astronomical observatory in space. Many unmanned astronomical spacecraft had preceded it, including the highly sophisticated and successful Explorer, Mariner, Pioneer, Orbiting Astronomical Observatory, and Orbiting Solar Observatory (OSO) spacecraft series. The manned Mercury, Gemini, and Apollo missions carried astronomical apparatus, which was employed with good results by astronauts, but none of these instruments approached the size and overall capability of the battery of solar telescopes that made up the ATM. 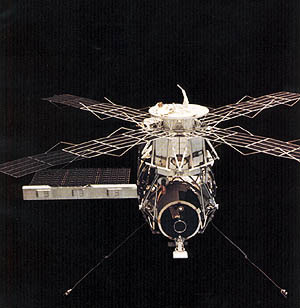 The predecessor of the ATM in observing the Sun from space was a series of seven unmanned OSO's. Like the Skylab ATM, the OSO's were designed for about 1 year's use, circled Earth in a little over 90 min, and sent data to the ground by many of the same radiotelemetry stations that were used by Skylab. Like Skylab, each OSO carried an array of solar instruments, from rudimentary counting devices that measured radiation from the whole Sun, to pointed telescopes for ultraviolet, X-ray, and coronagraphic observation of specific parts and regions of the Sun. But solar instruments on the early OSO's were limited in size and weight and by restricted power and telemetry budgets. The largest solar instruments on the pre-Skylab OSO's were about 1 m long, weighed less than 25 kg, and worked with power budgets of a few watts. Data storage and telemetry created severe limitations. Total spacecraft weight was about 275 kg, of which about half was allotted to solar instruments. Skylab, by comparison, was bigger than a boxcar and weighed over 90 000 kg. 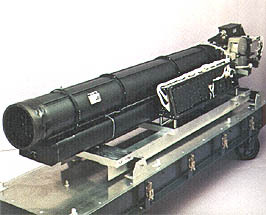 The ATM experiment canister, which housed the eight principal solar telescopes, was 3 m long and over 2 m in diameter-as large as any modern solar observatory spar on Earth, and it was pointed at the Sun with an accuracy and steadiness that equaled the performance of an observatory telescope on the ground. The solar telescopes on the ATM were not miniature models but full-sized observatory instruments, typically 3 m long and weighing, in all, more than 900 kg. They had virtually no power restrictions. The solar experiments on Skylab had their own source of power, derived from photovoltaic cells that covered four large vanes stretched out like giant windmill blades. 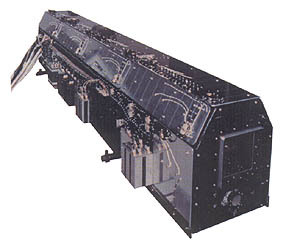 The system was capable of delivering over 2000 W of experiment power, as compared with about 20 W on the last pre-Skylab OSO. AN ARTIST'S CONCEPT OF THE ATM SOLAR OBSERVATORY reveals the inside of the experiments package. Eight solar instruments were contained in the cylindrical enclosure to provide protection against severe temperature excursions and any residual contamination as the spacecraft orbited Earth. The entire canister was supported on gimbals to allow precision pointing and stability while gathering data on various solar features. .....vational data to ground by radio telemetry. A single "picture" of the Sun, for instance, is divided into perhaps a million pieces, or "bits," which are transmitted, one by one, by radio signals. For a spacecraft that orbits Earth, these transmissions can be made only during certain limited times- when the spacecraft is within line-of-sight radio range of special ground receivers. As a result, the telemetry system is often a bottleneck in space observations. Because Skylab was manned by visiting astronaut teams, it was possible to employ film in ATM cameras. This film was then brought back to the surface of Earth by returning astronaut crews. Photographic film provides a fast and efficient way of recording and storing images, and for most of Skylab's solar instruments, film was used. The Skylab astronauts retrieved and replaced film in ATM instruments by extravehicular activity (EVA), using film magazines especially designed for this unorthodox loading and unloading procedure. Although their principles of operation and replacement were much the same, ATM film magazines were a good deal bulkier than the instamatic cartridges used in most cameras. Some ATM camera magazines held film for 16 000 pictures or "frames"; others advanced film in strips and weighed, on Earth, over 40 kg. Film magazines adequate for the entire Skylab mission were stored in lockers in the Skylab Orbital Workshop when it was launched to start the mission on May 14, 1973. Extra magazines were added to the final extended mission and were transported in a crowded command module at the time of launch in November. On board each Apollo command module that splashed into the Pacific were several exposed film magazines, which were rushed to waiting ATM scientists for development and processing. ATOP THE APOLLO TELESCOPE MOUNT Astronaut Owen Garriott removes a film magazine (white box) from one of Skylab's solar telescopes during an EVA in the second manned Skylab mission. A long boom transports it back to the waiting hands of another crewmember at the airlock door below. During the operation, Garriott, film, boom, and Skylab were 435 km high, speeding around Earth at 29 000 km/hr. But because they moved together, and with no wind resistance, there was little sense of motion. ....the six ATM experiments that used film; over 150 000 successful exposures were obtained. Solar film from ATM cameras was the heaviest and largest item on each packing list of materials brought back from Skylab in each returning command module. MASSIVE ON EARTH, but weightless in space, one of Skylab's solar telescopes is prepared for final assembly in the ATM canister, 21 months before launch. Technicians in special clean room clothing make final checks on the Naval Research Laboratory ultraviolet spectroheliometer at the Marshall Space Flight Center in August 1971. Fastidious care and engineering skill resulted in near-perfect operation of all of Skylab's solar instruments, and in a harvest of scientific results that exceeded all expectations. ....exposing their photovoltaic surfaces to the direct light of the Sun from which they derived electric power. Photoelectric Sun seekers on the sunward face of the ATM canister provided error signals to large gyroscopes and actuators that were used to keep the entire ATM pointed at the Sun to the almost unbelievable tolerance of ± 2 arcsec-an angular error of no more than the width of a dime at a distance of about 2 km. A small, star-seeking telescope on the ATM was added to look at a second star, Canopus, in the southern sky, to provide additional information for overall spacecraft orientation. 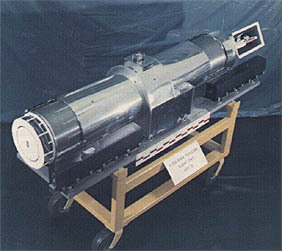 Within the ATM experiment canister was a rigid beam, cruciform in cross-section and about 3 m long. This was the spar or optical bench on which the solar telescopes were mounted. On the front (sunward) end was a sunshield and cover, with openings and individual doors for each instrument. During ground storage, launch, and at times when orbital contamination was expected, these experiment doors were closed to protect the solar instruments and their optical components. Eight separate solar telescopes were mounted on the ATM spar. The six principal instruments were two X-ray telescopes, an extreme ultraviolet spectroheliograph, an ultraviolet spectroheliometer, an ultraviolet spectrograph, and a visible light coronagraph. Together they collected data on the Sun in wavelengths from 2 to 7000 Å which spanned the soft X-ray, ultraviolet, and visible light ranges of the electromagnetic spectrum. Each was the most advanced instrument of its type ever to be flown in space, and each took full advantage of the unique conditions of Skylab's orbit. None would have served any purpose on the ground or in a mountaintop observatory. The X-ray and ultraviolet instruments, covering the wavelength span from 2 Å to the violet edge of the visible spectrum, needed the altitude of Skylab's orbit to get above the complete atmospheric absorption of radiation in these regions. The coronagraph took advantage of the negligible sky brightness at Skylab's altitude. All eight ATM solar experiments are described in the following sections, along with a ninth Skylab solar experiment, a handguided X-ray and ultraviolet spectrograph. THE SUN'S VIEW of Skylab was the smiling face of the ATM canister, surrounded by four solar-power wings. Above is the orbital workshop with patch-upon-patch of astronaut repairs and, extending to the left, the rectangular solar panel that provided the main electrical power. Features of the smiley face are the doors and other access ports to Skylab's solar telescopes. EIGHT SOLAR INSTRUMENTS without their protective coverings peer out of ATM's front end during final systems tests. Each instrument was attached to the supporting crosslike structure with legs designed so as not to introduce excessive structural loads or thermal gradients that could disturb the delicate alinement and pointing. 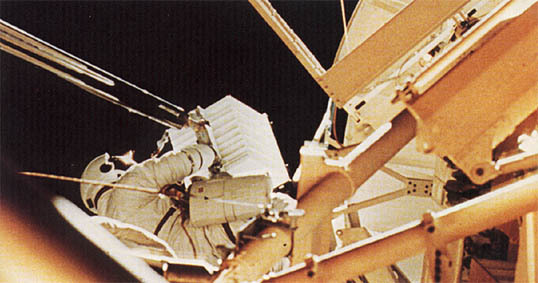 During operation in space, the entire front of the package was covered with a shield containing aperture doors for each instrument to protect against solar radiation and contamination from surrounding space. The two X-ray telescopes obtained data on the low and intermediate corona by photographing the full solar disk in broad wavelength bands through X-ray filters. Because conventional optics blocks transmission of X-rays, a special grazing mirror technique was used for collection and focusing of the incident energy. This technique also provided the maximum possible collection area within the telescope structure. In support of the two primary telescopes, auxiliary instruments provided a continuous record of the total X-ray flux in two bands, 2 to 8 and 8 to 20 Å. Also, a flare detector provided an X-ray image and automatic flare alarm to the astronauts at the control console as an aid in monitoring solar activity. American Science & Engineering, Cambridge, Mass. Aerospace Corp., El Segundo, Calif.
U.S. Naval Research Laboratory, Washington, D.C.
A hand-held X-ray and ultraviolet spectrograph was also carried on Skylab for photographing spectra of selected regions of the Sun by the astronauts during EVA. Harvard College Observatory, Cambridge, Mass. ...-ometer performed digital scans of selected sections of the Sun in monochromatic light. 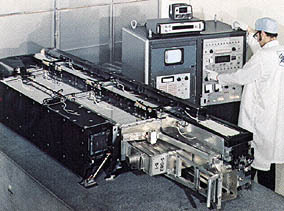 This instrument recorded data in seven monochromatic regions centered on strong spectral lines and the continuum, simultaneously on magnetic tape. The data were later telemetered to the ground. The seven lines were chosen to sample distinct temperature regions (heights) in the solar atmosphere. The spectrograph photographed conventional spectra of selected regions or features of the Sun within a 2 by 60 arcsec field of view. The spectrograph was supplemented by an extreme ultraviolet monitor that provided video images of the full solar disk to the astronauts in a wavelength band of 170 to 550 Å. A second video camera provided white light (photosphere) images to the control console as an aid for instrument pointing. ....were employed. This allowed observations of the outer corona from 1.5 solar radii to a distance of 6 solar radii from the center of the Sun. The optical elements of the instrument also performed the function of variable vignetting, which enhanced faint outer corona detail and suppressed blooming in the bright inner corona. A precise brightness calibration of the data was obtained by imaging direct sunlight through an 18 step wedge filter. A TV camera in the instrument provided real-time pictures of the occulted Sun to the astronauts at the control console. High Altitude Observatory, Boulder, Colo.
 .....pointing during solar observing periods. Both telescopes gave the Skylab astronauts a real-time picture of the Sun in through a closed-circuit television system displayed on a viewing screen in the Skylab space station. The telescopes were fitted with crosshairs, like a gunsight, for precise pointing of the ATM spar; each could expand or reduce the portion of the Sun seen in the telescope by means of a zoom lens. Each telescope used a filter monochromator of the type described in chapter 2, which rejected all solar radiation except that in a narrow (0.7-Å) band centered on the line. Four camera magazines holding 16 000 pictures each were exposed and returned to Earth from the ATM camera; they provide a nearly continuous movie of the Sun for 9 months, to aid in analyzing the data from the principal ATM experiments. The clustered solar telescopes on the ATM provided an opportunity to perform simultaneous, coordinated observations of the Sun in many important wavelengths. They were like eight guns strapped together to fire at a common target. The instruments were carefully alined before flight and provided with in-flight methods of checking and correcting alinement changes. More important than the purely mechanical banding together of the eight telescopes, however, was the way they were scheduled and used to study specific solar problems. 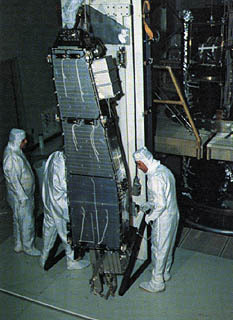 In the years of preparation that preceded the Skylab launch, the various ATM investigators worked out joint observing programs for specific goals in understanding the Sun, projects that made optimum use of this unique assemblage of large solar telescopes above the atmosphere. In high fidelity simulators at the Johnson Space Center near Houston, these observing schemes were tried, modified if necessary, and tried again. This resulted in tested observing programs that focused coordinated observations on every important feature of the solar atmosphere. Contingency plans were worked out and rehearsed for efficient, coordinated observations of the sudden and dynamic solar events anticipated during the Skylab mission: solar flares, prominence eruptions, and transient features in the corona. Plans were made for optimum observation of the total eclipses of the Sun that would occur during the operational lifetime of Skylab. When, a few months before the Skylab launch, the new comet Kohoutek was discovered on its way toward the Sun, plans and special efforts were developed by Skylab scientists for the most effective observations of that new celestial object. Most difficult of all in the preflight scientific planning was the setting of priorities, the important choices between solar problems and, in some cases, between ATM instruments. The choices were crucial, for the solar scientists of Skylab were well aware that ATM's arsenal of coordinated instruments could not be duplicated again for many years. In planning programs and priorities, they sought the advice and invited the participation of solar physicists from all over the world to insure that the once-in-a-lifetime chance of ATM would be directed wise]y at the most important solar problems. SOLAR PHYSICIST Neil Sheeley monitors the operation of the Skylab solar telescopes from the control room at the NASA Johnson Space Center in Houston. In military fashion, crews of solar scientists and technicians kept watch around the clock in these control rooms during the 9 months of manned and unmanned Skylab operation. .....experiment, the NASA mission planners, and the Skylab astronauts themselves. The final result of their joint labors was a set of carefully checked observational plans, in book form, with step-by-step instructions for integrated operation of the complex instruments. Copies were kept by each ATM experimenter and at control sites in Houston to be used when the mission began. Others were stowed in metal lockers on Skylab, long before launch, and fired into Earth orbit on May 14, 1973. When the first team of astronauts arrived, 11 days later, these copies of the observing plans were taken out and put to work. As the mission progressed, planning and training sessions continued on the ground, as new lessons were learned in space on the ATM. 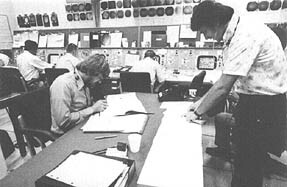 Observing plans and, in some cases, equipment itself was modified during the Skylab flight, and new goals were added as old ones were checked off. The second Skylab crew brought new ATM observing books in their command module. These books were, in a sense, "second editions" of the best book on solar observation that has ever been written. The third crew carried up even better third editions. Throughout the 9-month Skylab mission, teams of scientists and engineers for each ATM experiment moved to Houston and worked at Flight Control Headquarters at the Johnson Space Center. 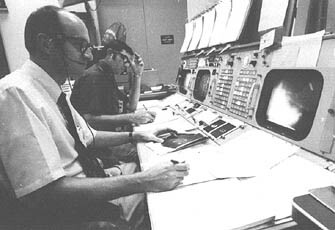 In two special control rooms near the main mission operations control center, teams of solar physicists and engineers stood by around the clock to monitor the performance of each ATM instrument, to modify observational plans when necessary, and to advise the Skylab flight controllers on questions affecting the ATM instruments. During the two periods between manned operation of Skylab, these scientist teams continued their around-the clock duty to operate those ATM instruments that could function in automatic modes. PART OF THE PYRAMID of support for the astronauts in Skylab, these solar scientists in a Houston control room kept an up-to-the-minute account of all solar experiments and the state of the Sun itself, to insure that every minute of Skylab time was used to optimum advantage. In the background are individual consoles for each of the solar telescopes. A minute-by-minute observing plan was prepared each day in Houston in lengthy working sessions of solar astronomers, with input from solar observatories around the world. It was transmitted to Skylab by Teletype during the night and read by the astronauts the following morning. Unexpected solar activity resulted in a flurry of activity on the ground and rapid departures from the observing plan on Skylab. ....forecast personnel of the National Oceanic and Atmospheric Administration (NOAA), whose around the-world chain of solar observatories was dedicated to the support of the ATM effort. Nearly 300 solar scientists and nearly every major solar observatory in the world took part in one way or another in the Skylab ATM adventure, through direct participation or guest investigator programs, by ground support and solar patrol during the flight, or by using Skylab data after the mission. From each daily planning session at Houston came a minute-by-minute solar observing plan for the ATM that was radioed to Skylab during the night and typed on the on-board teleprinter while the astronauts slept. When they awoke to start each new day, a printed daily solar observing schedule and forecast for solar activity was waiting for them, like the morning paper. Most of the solar instruments on Skylab were descendants of instruments used in experiments flown on earlier, unmanned solar spacecraft. By and large, early designs called for automatic operation and control by radio command from the ground. 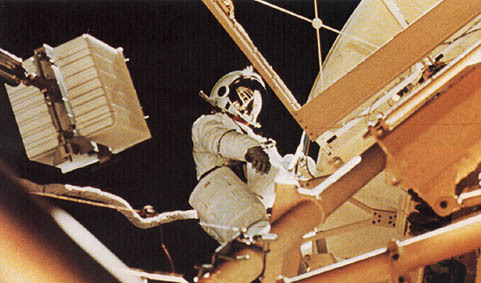 The Skylab astronauts, in early concepts of the mission, were to aid the ATM solar program by retrieving and replacing camera magazines during EVA and by performing functions similar to those of observing assistants in ground-based observatories, such as aiding in pointing and target acquisition, checking instrument operation, and energizing and shutting down specific instruments. This concept changed quickly as the complexities and potential of the ATM cluster of telescopes became apparent in preflight plans. Most obvious was the simple fact that the presence of an onboard observer and controller could add great flexibility and provide immediate response to opportunities, such as the sudden occurrence of flares and other dynamic solar events. This potential benefit was magnified by the fact that the Skylab astronauts were highly motivated and keenly interested in the Sun. Not just the scientist pilot, but all three crewmen of each Skylab mission were trained in operating the ATM, monitoring the solar disk for signs of activity, and activating the cameras to record solar events. Thus, in the years preceding Skylab's launch, the astronaut crews and their backup teams were given full courses of study in solar physics, in programs arranged at the Johnson Space Center and at the major solar observatories in the United States. They became expert not only in the instruments on the ATM but also on the Sun and the solar problems that were to be examined. They knew the goals and limitations of each solar telescope, and the power of their coordinated use. They knew what to look for on the Sun and what it meant to find it. They knew the hard history of man's long efforts to get fleeting and distorted glimpses at what they would see with ease and clarity for hours and days on end. As a result, the Skylab astronauts served solar physics far beyond what was originally asked of them. Through enthusiasm alone they added many hours and many new opportunities to the planned observing goals. They worked with the scientists on the ground, via radio exchange, in planning new programs and modifying others. They kept watch for flares and devised their own new ways of predicting flare occurrence. Their responses were fast and unerring. They enjoyed their solar tasks and the challenges they presented. On occasion, during the long night watch at Houston when the astronauts were presumed to be asleep, ATM ground controllers would see their control panels light up, indicating that far above, telescope doors had been quietly opened and a spectrograph or coronagraph had been turned toward the Sun by a dedicated astronaut anxious to add a few more hours and a few more photographs during man's best chance to seek the secrets of the Sun. The most impressive contributions of the astronaut crews became apparent only after Skylab was launched, when on repeated occasions they turned disaster to success by in-flight repairs and modifications. Their first spectacular role in patching the Skylab together after a nearly catastrophic launch mishap is well known. Less heralded, but equally important to the ATM solar program, was a sequence of efforts that salvaged ailing solar experiments again and again and kept them running at full speed until the planned end of the mission. These repairs were chiefly done during extravehicular activity. They included pinning open experiment doors that had failed in closed position, replacing a jammed camera, twice removing threadlike objects that collected on the coronagraph occulting disk, and repairing a shutter mechanism and jammed filter wheel with a screwdriver. Inside  Skylab, at the ATM console, a defective television tube was replaced in orbit and a number of modifications were made to various control functions, following specific failures or recommended improvements. One of the large ATM instrument cameras was disassembled and reloaded with fresh film during orbit, adding significantly to the total amount of data acquired. 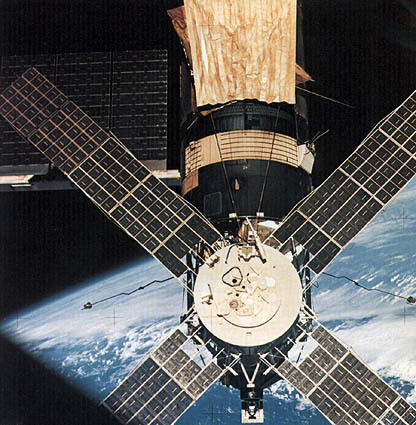 Solar observations on Skylab were controlled from within the multiple docking adapter-a cylindrical room about 3 m in diameter that was the docking port for the command module and the connecting link between the ATM and the orbital workshop, in which the astronauts lived. The multiple docking adapter was the common laboratory for much of the science that was performed on Skylab. It was a laboratory with neither floor nor chairs, because none was needed in the weightless, zero-gravity conditions in Skylab's orbit. Bolted to the walls were film vaults and storage lockers, apparatus for metal processing experiments, controls for the down-looking Earth resources cameras, and the great Wurlitzer-like console from which the ATM solar telescopes were directed and monitored. 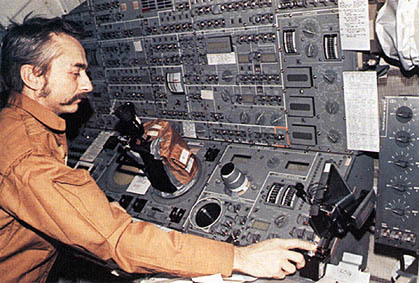 WITHOUT THE BURDEN OF GRAVITY Astronaut Owen Garriott sits at Skylab's ATM control console with no need of a chair. Before him is the complex array of controls for Skylab's solar telescopes. His feet, in special shoes, are anchored to a plate below, to keep him from floating away from his work. On the front of the ATM console were the many switches and indicators that were used to control electrical power to each telescope, to open and close experiment doors, and to change the operational pace of each instrument, which was rapid and intense at times when the Sun was active or explosive but was slower during routine patrol and quiet-Sun experiments. Dials and counters displayed instrument readiness conditions and, as on any camera, showed how many frames remained in each film magazine. Other displays and controls were used to correct instrument alinement and to check the important cross-alinement between different ATM telescopes. Two television screens on the ATM console showed the astronaut operator what the solar telescopes saw, as through the viewfinder on a single-lens reflex camera. He could direct the massive telescopes with great precision by watching the crosshairs on the video screen and moving the ATM cluster by means of a small control lever at his fingertips on the console. Live video pictures of the Sun in white light or are commonly used in modern solar observatories for monitoring solar activity. But when the Skylab astronauts first switched to channels 4 or 5, they saw the Sun as no one had ever seen it before. In switching from channel to channel and looking at all the important layers of the Sun in real time, they enjoyed an overall view of the Sun that until that time had been denied the eyes of man. Nor had any astronomer ever had before him the fingertip controls of so many different astronomical instruments as were on the ATM control console. With these new tools, and aided by the long preparation and worldwide support that backed the ATM, success was achieved that exceeded all expectations. The ripples from that achievement go far beyond solar physics and astronomy, through all of science. Perhaps the greatest mark left by Skylab was the demonstration, through the ATM, of the staggering power of a coordinated and regimented approach to the solution of specific problems in science.